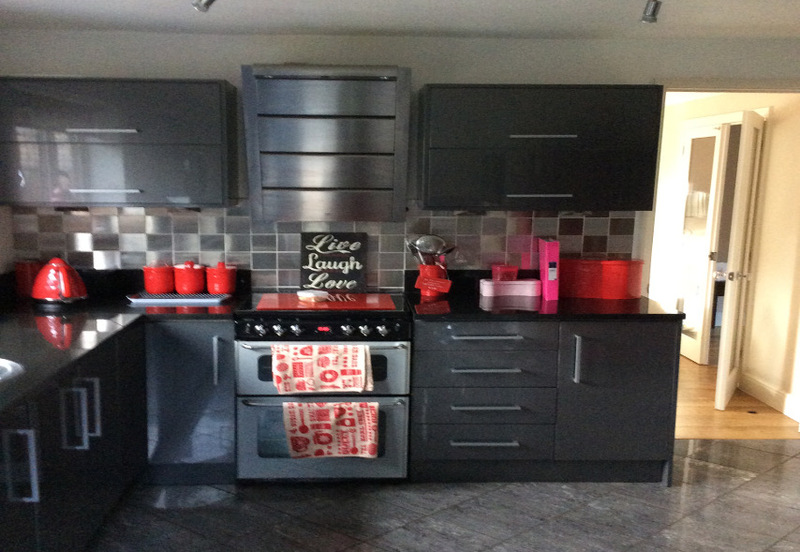 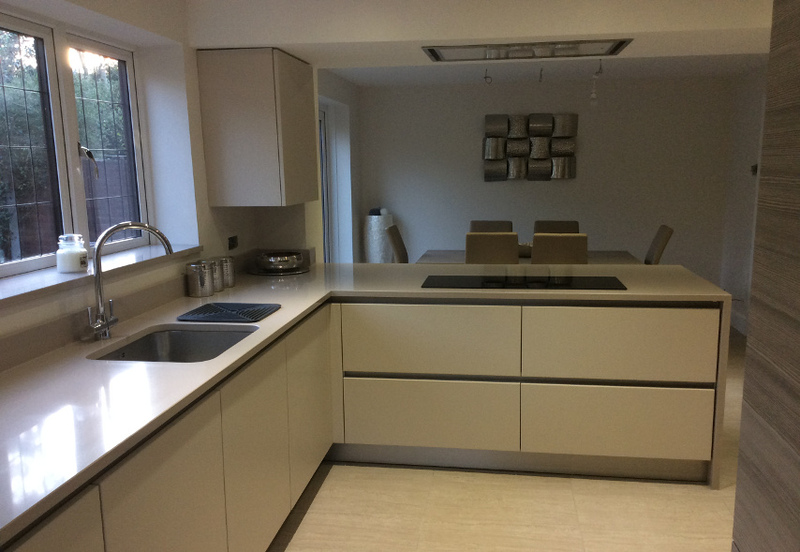 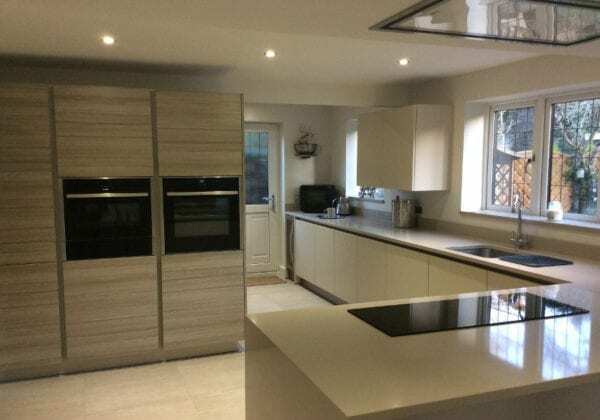 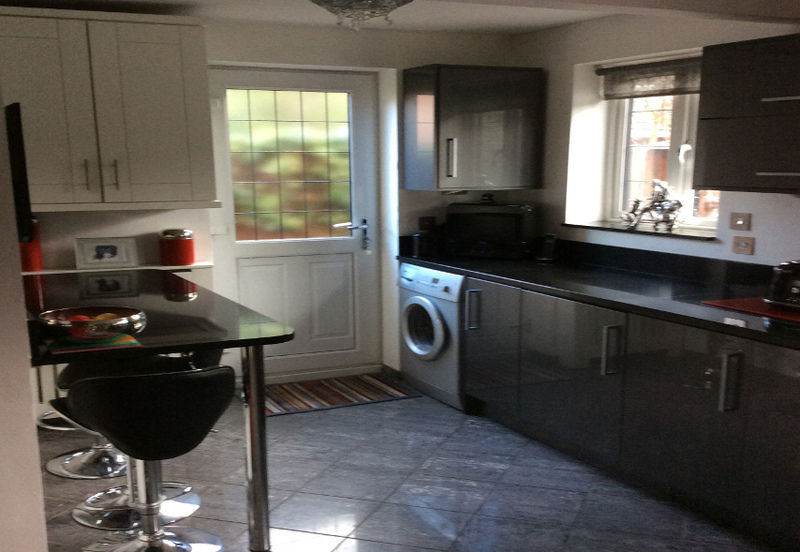 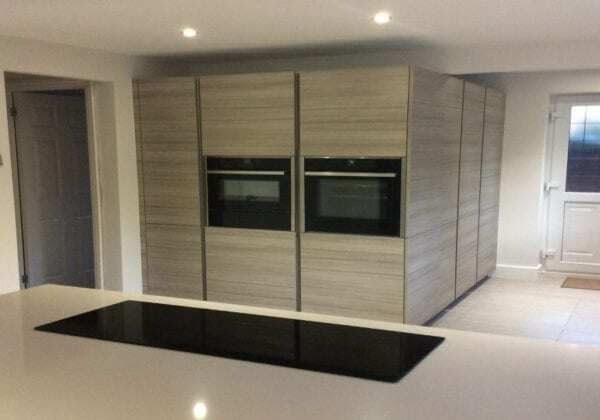 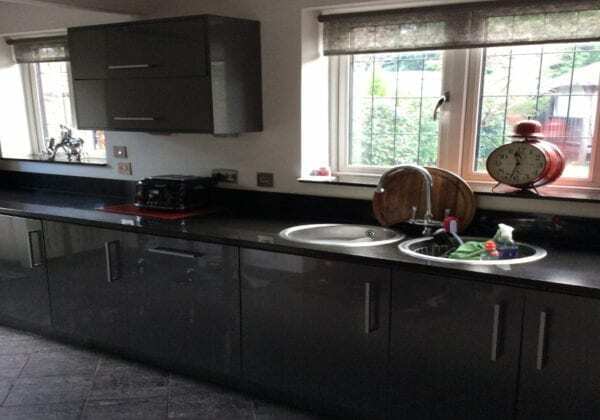 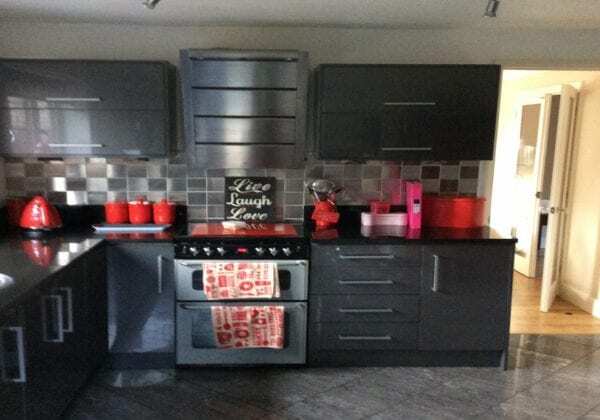 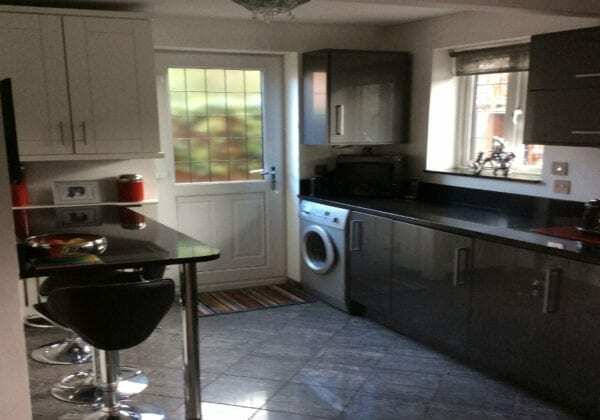 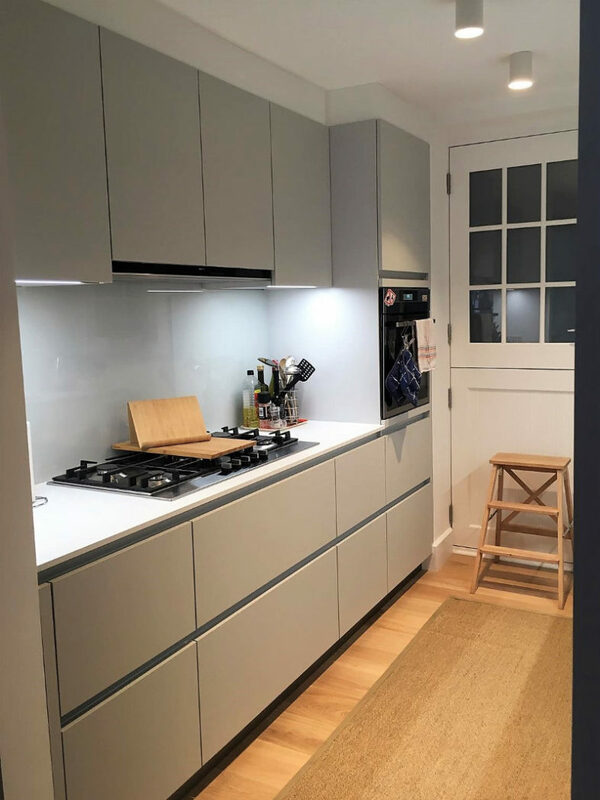 This was formally one kitchen plus a separate dining room behind the oven run of units, now expanded into one spacious and light kitchen diner. 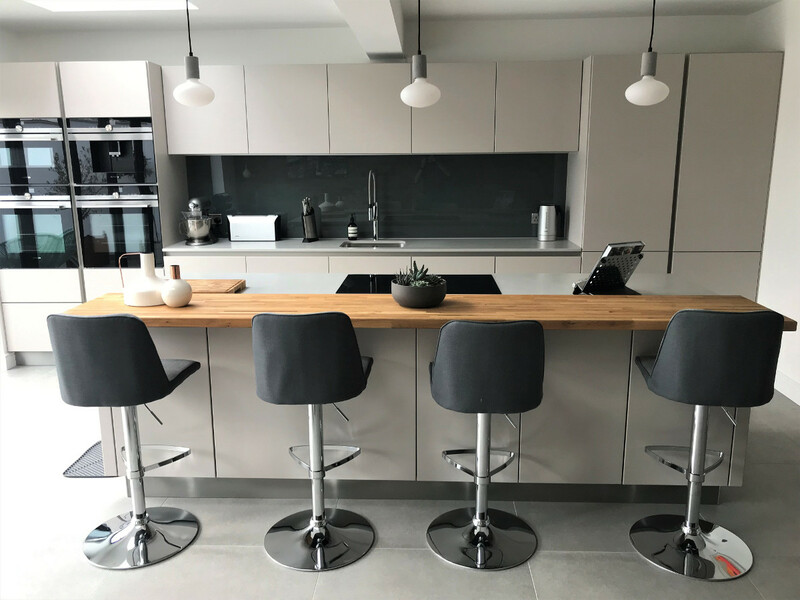 The base and wall units are from our Next125 range in Champagne satin lacquer finish combined with Larch grey tall units. 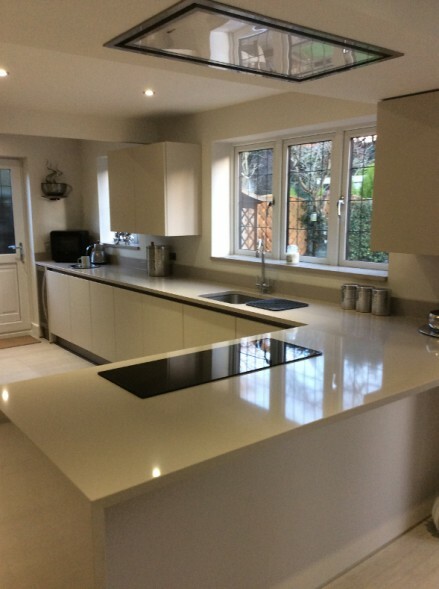 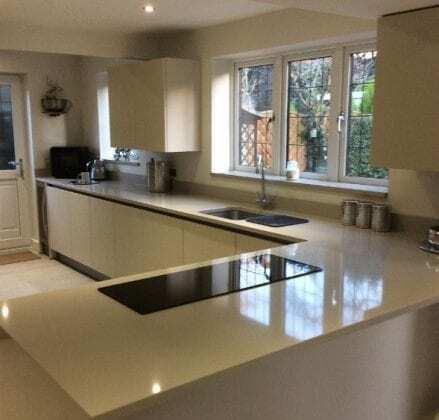 The worktops are Arena stone at 30 mm thickness, 100 mm upstands with 20 mm quartz window cills. The peninsular has a 300 mm overhang and seating area for 3 people with a ceiling fitted extractor above.